6th – White Eagles Jazz Band – here’s a rousing start to the Autumn season – doesn't time pass quickly when you are having fun! Stomping traditional sounds from a galaxy of local heroes led by Dave Kendall on trumpet and including Steve Devine on reeds and Dave Lewis on trombone. 13th – Merseysippi Jazz Band – hard to believe but not since the far off days of The Crown have the ‘Merseys’ graced the Boston Spa stage. Many changes to band personnel since then and now with only one trumpet. But highly recommended by no other than Jeff B himself who played with the band during his Spring tour this year. 27th – Brownfield/Byrne Hot Six – and continuing with the theme of exciting young musicians here we have Jamie on trumpet, Liam on reeds, the sublime Tom Kincaid on piano in a programme of classic jazz from New Orleans through to the swing era with a nod to Tin Pan Alley on the way. Talent plus abundant energy! This year's Marsden Jazz Festival in West Yorkshire will run from 10-12 October. Here is the line up of headline bands! plus over 50 other (free) gigs! 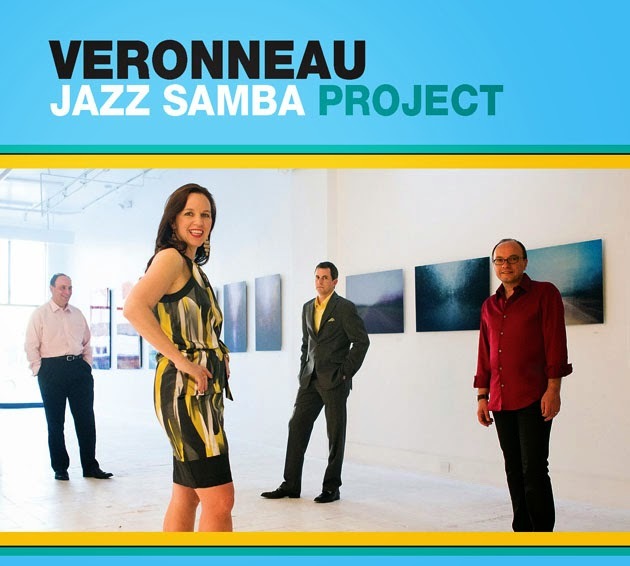 Formed in Washington DC in 2010, Veronneau have performed their unique blend of bossa nova, latin jazz and swing to concert halls, jazz club and festivals across the USA and Europe. Their two albums, Joie de Vivre and Jazz Samba Project, have topped jazz radio charts and most recently, they received a coveted NEA Award to curate a festival and produce a film celebrating the music of Brazil and its influence on Jazz. French-Canadian singer Lynn Veronneau leads the band through tunes in English, French and Portuguese accompanied by guitarist Ken Avis (a Cordoba Guitars artist). "I'm absolutely delighted to be able to bring Veronneau to the UK this July. 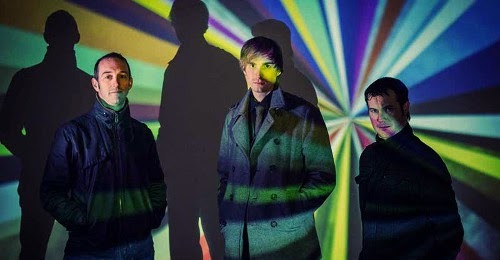 The band have such a passion for the music they make and I have a lot of respect for them as musicians for immersing themselves in the history of the music, the seminal recordings and managing to be true to music which has a rich history as well as be creative with it. To me, Lynn and Ken embody so much of what Apollo Jazz Network is about - their openness to collaborate with UK musicians, their generosity of knowledge and their support for the sense of global community we believe in. Each of their gigs will feature special UK guests and have sets of music to showcase them. Plus, we're lucky to be able to host the UK premiere of their film, Bossa Nova: The Music That Seduced The World, which focuses on Stan Getz's 1962 album, Jazz Samba"
The doyen of North East jazz pianists and breath-taking, walking anthology of standards from the Great American Songbook makes a welcome return to the Café with his fleet-of-foot trio of John Pope, double bass and Mike Humble drums. Saturday 2nd August 9pm – Zoe Gilby & Mark Williams Duo Admission Free. A different take on the Great American Songbook – from Tyneside’s top jazz guitarist and from his musical partner of ten years, the great Zoe Gilby. Bringing freshness to jazz standards and introducing the freshness of Paul’s own compositions. “A new voice in jazz” Jazz Journal. Ray on harp, vocals, guitar and accordion comes together with Pete on piano (plus a musical surprise) for an evening of blues and old jazz standards. Free-improvisation jam session, curated / hosted by Andy Champion or John Pope, two of Tyneside’s boss basses. Open to instrumentalists and vocalists from all musical backgrounds. Just bring your instrument and make it up! Or come and listen. Original compositions from Zoe and Andy Champion, fresh takes on the Great American Songbook and songs from Pink Floyd and Kate Bush. Thank you for your support for Jazz Services and our role in the future development of jazz. Whilst we are hugely supportive of the other jazz organisations the Arts Council has funded in the NPO round and no doubt this will produce some excellent work in some regions, this does leave huge gaps in the jazz scene. For example, audiences in Cornwall will become isolated from the national jazz scene from April 2015. Several promoters in the National Rural Touring Forum have told us they will stop promoting jazz next year and mid-sized venues have said they will no longer have jazz in their programming. Furthermore, for many musicians Jazz Services has been instrumental in helping them establish a successful career and that artist development will not be available to the next generation of musicians. Without Jazz Services, the opportunity for national touring for the grass roots jazz musician has now been removed. As a result, the promoters networks built up over many years are threatened and audiences in many parts of the country will lose their regular live jazz. We understand the reasons for the Arts Council’s decision. We accept that there were governance issues in Jazz Services at the time of the bid and that we did not demonstrate effective partnership working. However, since our bid application, Jazz Services has changed significantly. We now have solid governance, as confirmed by the Charity Commission. We have a new Chair, a new Vice Chair, new Trustees, new Patrons and a united Board. Some NPO organisations included Jazz Services in their bid and will rely on us to deliver their programme. Following the news of the bid decision, other organisations have come forward in support of Jazz Services and are keen to work in partnership with us. Already we have addressed underlying financing issues by increasing our advertising revenue and attracting new funds from charitable trusts. Most importantly at this crossroads for the organisation, we wanted to hear from musicians and audiences. We held an Open Meeting, the objective being to listen and draw feedback from musicians, promoters and audience. It was constructive and hugely helpful in planning our future. In addition, we launched a survey and we have actively solicited comments and discussion on social media. This dialogue is key to our future and I would encourage you to take part in the ongoing debate. There are opportunities to post comments on the petition site and there is a Twitter conversation where supporters are putting their hands up #4JazzFuture. I look forward to hearing from you so that we can make a fresh approach to the Arts Council. Jazz Blues and Salsa time in Chapel A! 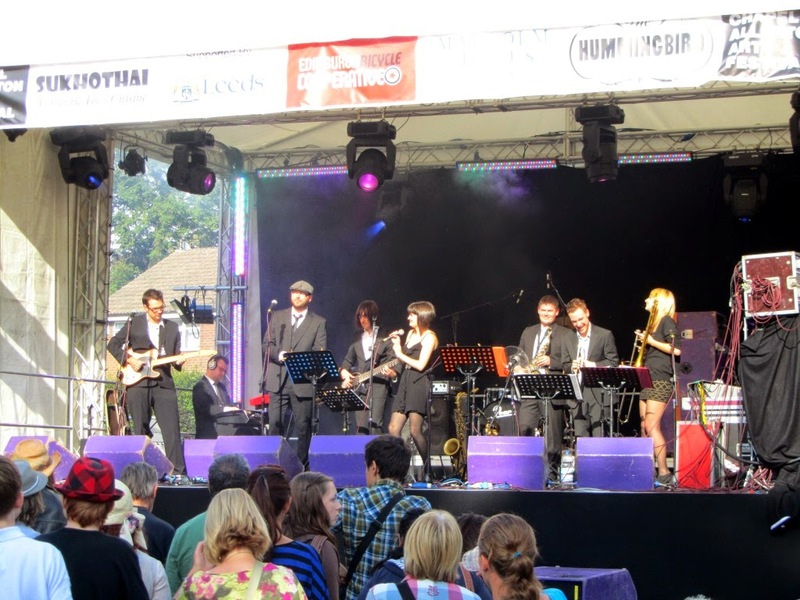 Every year the Chapel Allerton festival in Leeds finishes off the weekend by showcasing the best of jazz, blues and salsa from Leeds on the main stage in Regent Street, Chapel Allerton . LYJRO’s aim is to offer young people of Leeds the opportunity to experience through performance, the spectrum of jazz related styles ranging from swing to ‘hip hop’ and funk. There is also established a training band which introduces the young people to the first steps in improvisation and jazz ensemble work. Brendan Duffy, charismatic Leeds sax player, is the band leader. Simon’s latest project is an octet made up of some of the finest players from Leeds and London and features award winning trumpet star Laura Jurd. Simon Read developed a passion for listening to and writing for a medium size ensemble. The octet recently recorded the EP ‘Times Leap’ which is available for download at http://simonread.bandcamp.com/. This gig is supported by Jazz North. Saxman Richard Ormrod has give us jazz and cowboys with “Home of the Brave”, jazz and calypso with “Pan Jumby” and now John Coltrane gets the dub treatment in the band that was the hit of the Chapel Allerton Arts Festival in 2011. An intriguing mix of jazz and ska – think Don Drummond and Skatalites . This gig is supported by Jazz North. Richard Ormrod on tenor, baritone, alto saxes, Chris Campbell, guitar, Bob Birch, organ, synths, Spear, percussion, Sam Hobbs, drums. Bourbon et Tequila are an exciting nine piece band offering a unique blend of Salsa and Jazz – the very best from North and South America. They play mainly original tunes with a dash of Salsa classics thrown in for good measure and their sets are rapidly earning them an impressive reputation with audiences around the UK and Europe. Al Morrison’s Blues Experience celebrates the music of the great blues artists with songs by the likes of Sun/Stax records artist like BB King, Robert Johnson, T-Bone Walker, Ray Charles, Eric Clapton and many more. A special 9 piece big blues band dedicated to playing the blues. The Blues Experience was formed in 2008 and has a debut album “Regal Blues”. Featuring two wonderful blues vocalists, Jenny Smith and Kate Peters, the Blues Experience celebrates the music of the great Blues artists. The band featured 3 Horns plus a top blues rhythm section. All afternoon for just £3 festival entry (bucket collection). Address- Regent Street Chapel Allerton, Leeds LS7 4PE. With the apparent demise of the national Jazz Services organisation, discussion has already started about how to continue some of their good work in other ways. The new national Jazz PromotionNetwork conference agenda for 23-24 July at the Midland Hotel in Manchester will be one important forum for this. 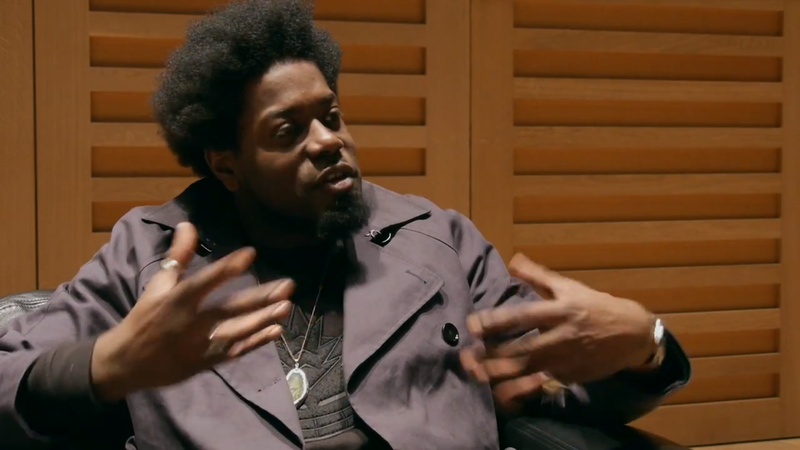 There will be some big names there too including keynote speeches from Soweto Kinch and The Bad Plus with bassist Reid Anderson, pianist Ethan Iverson, and drummer David King all involved. Discussion topics will include touring, international projects, new opportunities to get musicians hear and "pitches and snapshots". There will be an opportunity to visit some of the gigs at the Manchester Jazz Festival too. All are welcome to sign up and join in the debate - it will be fun enlightening and hopefully productive! 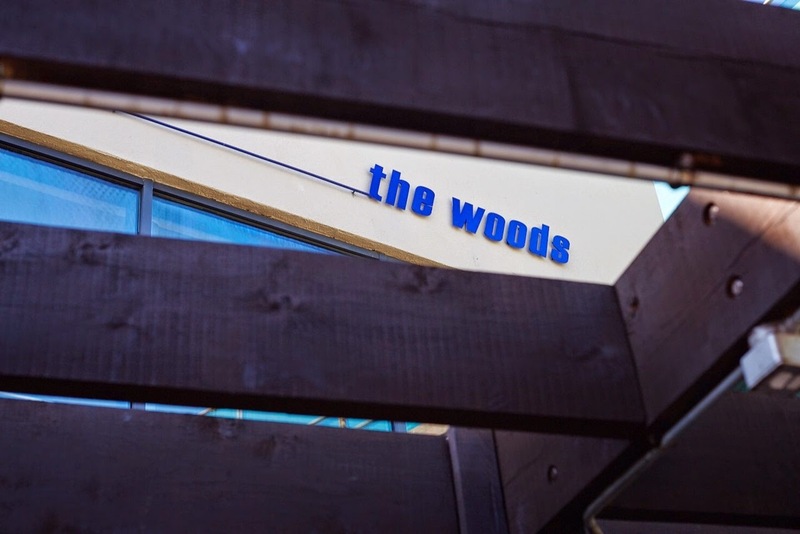 Woods - a third jazz venue in Chapel Allerton! Not content with two jazz venues at Seven Arts and Inkwell, from this weekend Chapel Allerton will have a third - "The Woods" in the former Hummingbird premises on Stainbeck Lane in Chapel Allerton centre. Owners Tom Edger and Chris Barry aim to make the venue known for different types of music, including jazz and swing, for film and other perfomance arts. "An eclectic mix of free events will happen throughout the week, with swing bands hitting the stage on Sundays, music cinema screenings on Mondays, Voices in The Woods taking place on Tuesdays, cult cinema club happening on Wednesdays and blues bands playing live Thursdays. Fridays and Saturdays are all about local funk and soul bands, followed by DJs playing a range of music that will include everything from 80s disco to classic indie hits." Chris is particularly keen to put on some of the bands and musicians coming out of Leeds College of Music - there will be contemporary jazz there on some nights. Leeds trombonist Matt Ball is promoting as jazz and swing session “Canopy Swings” every Sunday nights and once a month Monday contemporary bands "Canopy Jazz". 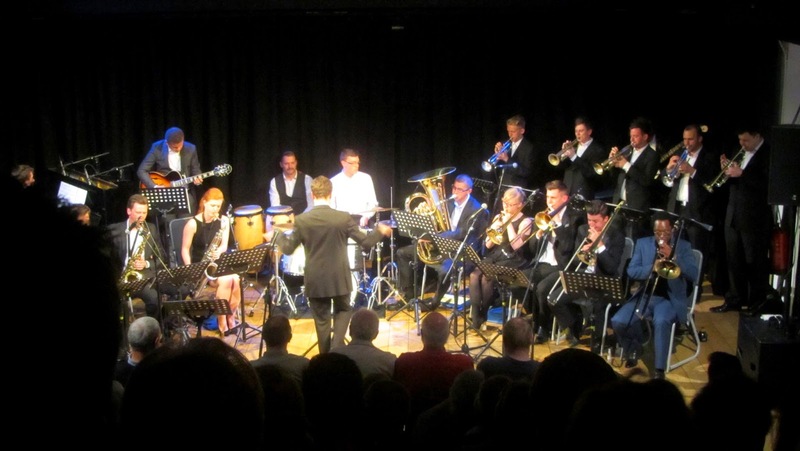 2nd – Savannah Jazz Band – Yorkshire’s premier jazz band playing in Yorkshire’s premier jazz venue - an unbeatable combination! A real summertime treat for all concerned – especially if there are some R & B numbers to savour. All this plus the Daytones – our first ever double bill presenting our very own local close harmony chorus presenting a selection of the standards. One not to miss! 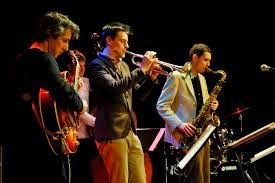 16th – Gavin Lee’s New Orleans Jazz Band – making a first appearance is this five piece group based in the North East and led by young reeds player, Gavin Lee. Whilst majoring in the New Orleans ensemble style, we are assured of a wide ranging and varied programme. 23rd – Wabash Jazzmen – ‘fresh, vibrant hot five jazz which packs a punch’ – how better to describe this engaging group driven along by the flowing banjo of Mark Challinor with Richard Vernon on bass. The front line of Mike Hayler, Ged Hone and Mike Pembroke completes the line up. 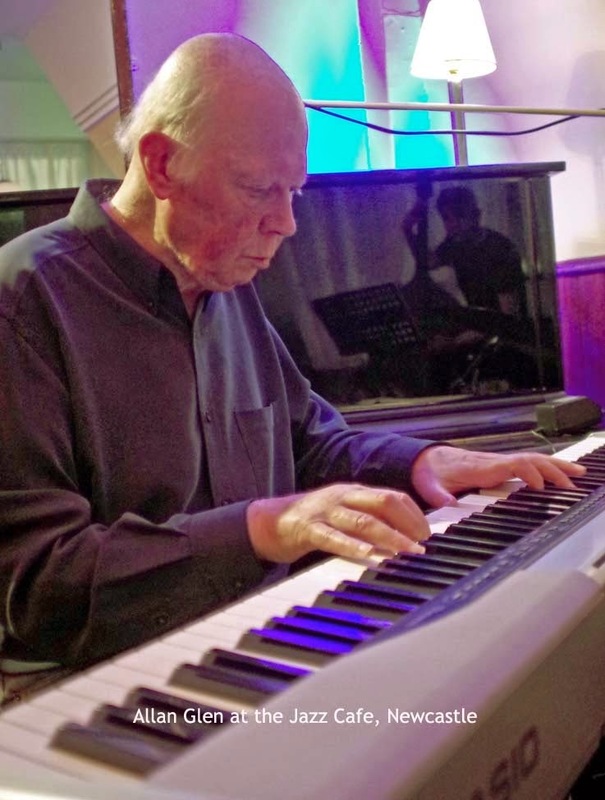 30th – Jeff Barnhart’s Mystic Men – more fabulous stride piano in Jeff’s inimitable style accompanied on this occasion by a clutch of the UK’s finest instrumentalists – George Huxley, Gordon Whitworth, Richard Leach, Jim Swinnerton and “Uncle” Graham on drums. What better way to round off an exceptional month! £10. Tragic news - another jazz legend passes on. 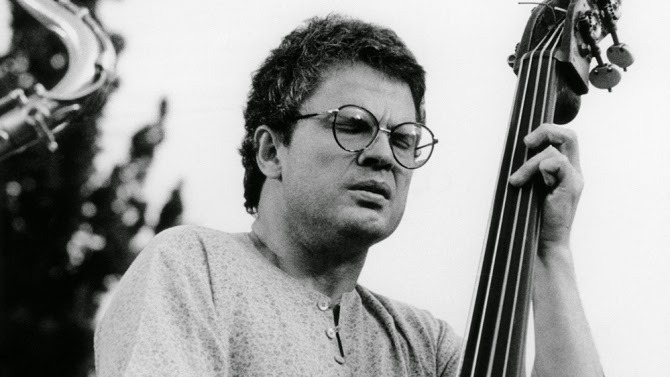 Bassist Charlie Haden the pioneering jazz composer and double bassist who played with the likes of Ornette Coleman and Keith Jarrett before enjoying a decades-long solo career, died Friday at age 76 of a prolonged illness, according to his label, ECM. His Liberation Music Orchestra with Carla Bley, his duo recordings with many people including Keith Jarrett and Pat Metheney, his work with the legendary Ornette Coleman trio, his Quartet West - so much good music. His sparse style of bass playing was (and still is) a model for others to emulate. Seven Arts in Chapel Allerton, Leeds was packed on Sunday for a special extended afternoon of Jazz showcasing to the world the very best of Jazz in Yorkshire, and to celebrate the work of the Jazz Yorkshire organisation that has supported jazz in Gods Own County for the last ten years. The event was supported by Leeds Inpired. James Hamilton's Yorkshire Jazz Suite was commissioned specially for this final event - and what a start it was - simply beautiful. The suite was in four movements - "The Dales," "Thrifty," "Tell It As It Is" and "Home Is All A Place Can Hope To Be." James conducted the Doncaster Youth Jazz Orchestra. James explained "Before I sat down to start work on it I approached people and asked them what Yorkshire means to them, what makes it what it is and what they believe to be at the core of “being Yorkshire”. The responses were wildly varied. A mixture of heartfelt accounts, and flippant, jovial remarks, enough emotive material to write a hundred suites. There was a nod to the brass band tradition in the 3rd movement with a reference to the hymn tune "Yorkshire." I tried to get some football chants and Brian Blessed in there too but I didn't have a big enough shoe horn!" Doncaster Youth Jazz Orchestra then played a set under the direction of John Ellis - and how well they played. These events are made for surprises and this was no exception - band alumni and now international star Dennis Rollins was there on trombone - his "Spring Can Really Hang You Up The Most" with the band was stunning. Kim Macari's "Locus" sextet followed. Kim is a Scottish trumpeter, an alumni of Leeds College of Music and now music entrepreneur who is now developing her career in Leeds. Her band features some of the young musicians for which Yorkshire is now famous - Riley Stone-Lonergan (tenor), Tom Riviere (bass), Steve Hanley (drums) - plus Sam Leak on piano and alto saxwoman Leah Gough Cooper. The Garforth Arts Festival never fails to disappoint. 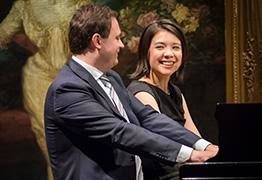 Each year the programme gets a collection of brilliant names from the international world of music, literature and comedy. Jazz North in - Jazz Services out! 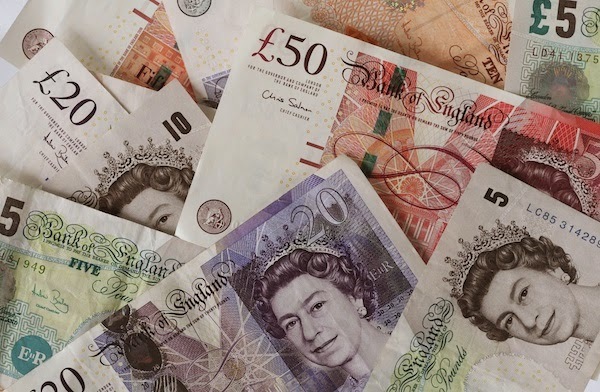 The latest round of blood letting known as the Arts Council England's National Portfolio Organisations funding 2015-18 has been announced today. It makes interesting reading. Most of the independent jazz sector (that survive on it's wits) would profess not to give a damn about the funding for the large dependent organisations (that survive on grants). But it isn't quite as simple as that. In truth all promoting organisations these days are becoming a mixed economy - with money from ticket sales being supplemented from somewhere - foundations, business, individuals, crowd funding, share issues and the like even if not from the public purse. So who got the public money this time round? In t' North we did quite well. Jazz North deservedly got another three years of funding at the same level - it has done well in supporting musicians and it's support us in NORVOL. In Hull, J-Night got more money - Hull being UK city of culture will have helped their case possibly. Manchester Jazz Festival got three more years and The Band on the Wall in Manchester got continuation funding. Other organisations that have jazz as a part of their programme - like the National Centre for Early Music in York, South Asian Arts in Leeds and Music in the Round in Sheffield - were again successful. Elsewhere the main jazz organisations in Birmingham ("JazzLines") and the nearest type of promoter organisation to NORVOL, East Midlands Jazz, were successful. Jazz didn't seem to come out so well in the North East in terms of funding though with no obvious beneficiaries. And you only have to look at the funding for things like Opera North (now up to a £10m grant) to realise exactly where the Arts Council music priorities actually lie! The biggest surprise was the demise of Jazz Services which represents jazz in the UK. It got nothing. The future of it's well regarded magazine, "Jazz UK", it's Parliamentary Jazz Awards, and the Touring Grant scheme for bands must now be under question, although other organisations might now take these on. Independent jazz clubs will be concerned about the fate of Jazz Promoter Awards scheme it ran with PRSF. And more than this Jazz undoubtedly needs a national voice - someone needs to be at the table making the case, otherwise the already meagre resources will get thinner still. So what do we have overall? A continuing support for jazz which is to be welcomed. More devolution certainly. More grants for the "dependent" sector, less support for the independent sector. And a big hole at the top where the national support and advocacy should happen. So not quite a dog's breakfast, but (to mix metaphors) a bit of a curates egg... .